The 25th Belfast Pride Festival starts on Friday 24th July and runs for ten days until Sunday 2nd August with Pride Day on Saturday 1st August – the 25th Belfast Pride Parade sets off at 12 noon. “25 Years Building Equality. It’s Time”. It’s time for full Equality. Belfast Pride is a protest and a celebration – a stand for equal rights and a proud and inclusive celebration of LGBTQ+ lives. 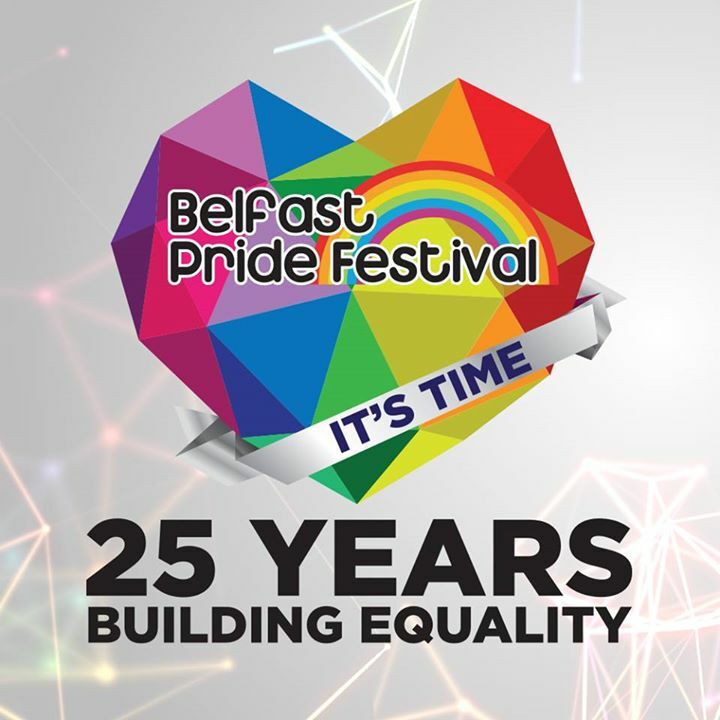 A broad coalition comes together under the Pride rainbow and we want to encourage more people than ever before to join together to make the 25th the biggest Belfast Pride so far. It’s time to make a stand and it’s time to join in the celebration. To get to full Equality and to make a statement with the biggest Belfast Pride ever, we need to bring people with us. We are extending an open invitation to all of Belfast to come to Pride – bring your family, bring your friends, get to the events, get off the pavement and get in to the parade. Start persuading – It’s Time! PreviousPrevious post:2015 “It’s Time” shirts and vests now on saleNextNext post:Connect your business with Pride!